The kitchen is dark except for the counter lights under the cabinets. 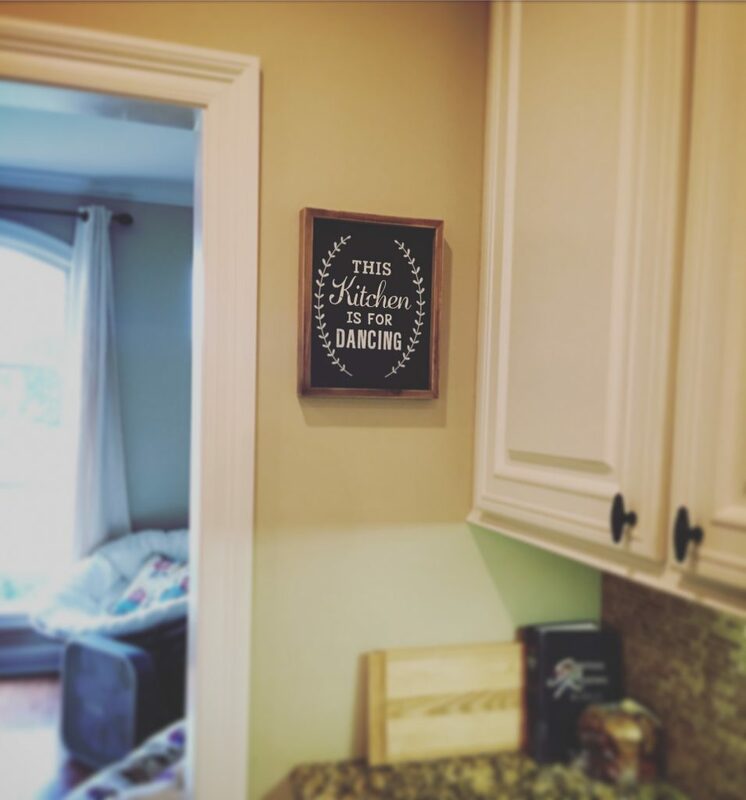 My favorite sign is leaning against the wall on the counter, “This Kitchen Is For Dancing”. We’ve danced so many times in this kitchen. I stopped being grateful for this house. What a mistake. A ceramic angel is watching me, next to a bouquet of finger-painted hands. My heart is aching, and this kitchen looks like a completely different room. There’s a sign across the counter that says, “It Is What It Is”. I picked it up at the flea market and set it on the counter for the constant reminder. Except I don’t notice it that much anymore. Why do I always forget that? Why do I always feel like such a failure? This kitchen is so beautiful. We’ve cooked together, danced together, and talked about serious issues in this kitchen. We’ve cried and laughed in this kitchen. I forgot. The reminders are everywhere, and I haven’t seen them. We’ve lived here a little over a year. I never feel like any home is going to last very long, so I don’t put a lot of time, effort, or money into decorating. I’d rather spend money on travel, books, and experiences than I would on home décor. But I do love places that feel comfortable and homey. I haven’t put in the effort. And there I go again; looking at all the things I’m not doing enough. Now I want to beat myself up for beating myself up. When does this stop? There are two pink aluminum water bottles on the counter. I wanted my girls to have nice water bottles to take to school, rather than refilling the plastic little bottles that we originally used. The dishwasher is running. Looks like Chloe remembered to do all of the dishes, including cleaning the sink out afterward. They do learn. It might take almost a decade, but they do learn. The light that hangs over the sink is busted, and the lights under one cabinet have gone out. I keep forgetting to replace them, but we can still see, so I forget again. I also hate spending money on things like light bulbs, honestly. Light bulbs, washcloths, toilet paper, none of this is fun to buy. Now that’s a lack of gratitude at its finest. Time to put light bulbs on the shopping list. All I ever see is “not enough”. We’re almost out of milk. John ate the rest of the peanut butter. Winter really wants regular Coke, but I hate buying soda. It never runs like the well-oiled machine I picture and work toward. In my fantasy world, I cook a healthy meal at least 5 nights a week. 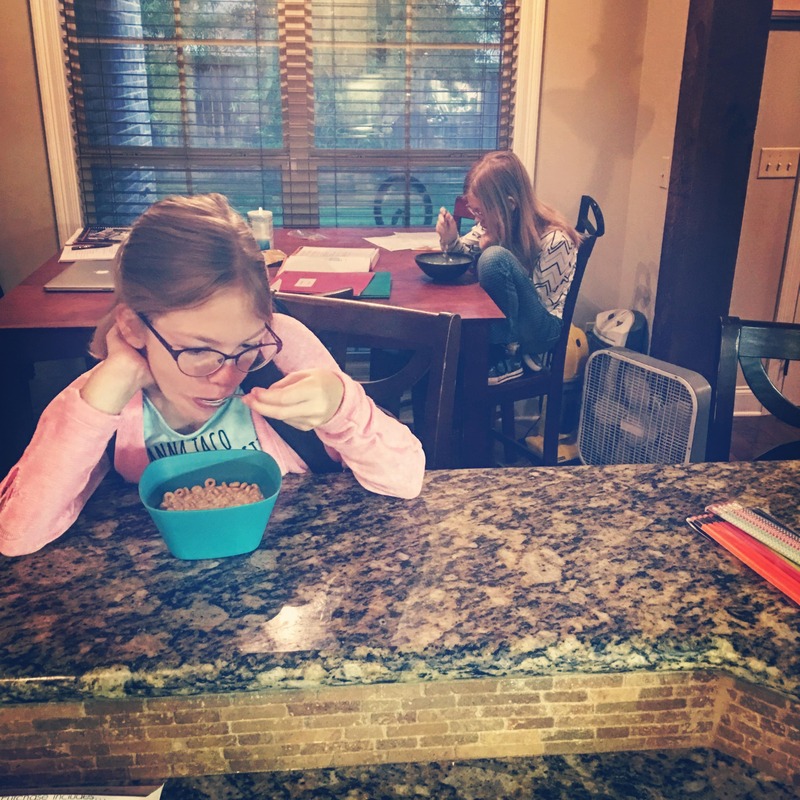 The kids smile and eat all of their food without a single complaint, enjoying every bite. We chat about life, theology, and current events. Afterward, they clean up while Jay and I retire to our room to unwind for the night. I’m not sure why I ever really expect that. It’s nice sometimes, and a goal to work toward for sure, but 5 days a week? Nah. I’m seeing everything in this room through different eyes. There are post-it notes everywhere. Normally, that would annoy me. John likes to draw on just about every paper he can find, and as a result there are random post-it notes with stick figures on them all over the table. There’s a clothespin from his class on the table, wrapped in some kind of linen. I think it’s supposed to be a person, but it didn’t handle the transition from school to home very gracefully. It just looks like a half-naked clothespin, not a person. I would never say that to its face though, of course. Wouldn’t want to hurt its feelings. It’s so exhausting to look for all the things that aren’t good enough. All the ways I’m not good enough, or I don’t do enough. I’m operating from a defensive position, always striving to prove myself. Every perceived slight makes me bristle, and I want everybody to leave me alone so I don’t have to deal with constant reading between the lines. I hear more than is being said, and I assume more than is meant. It’s not helpful, and it’s not healthy. 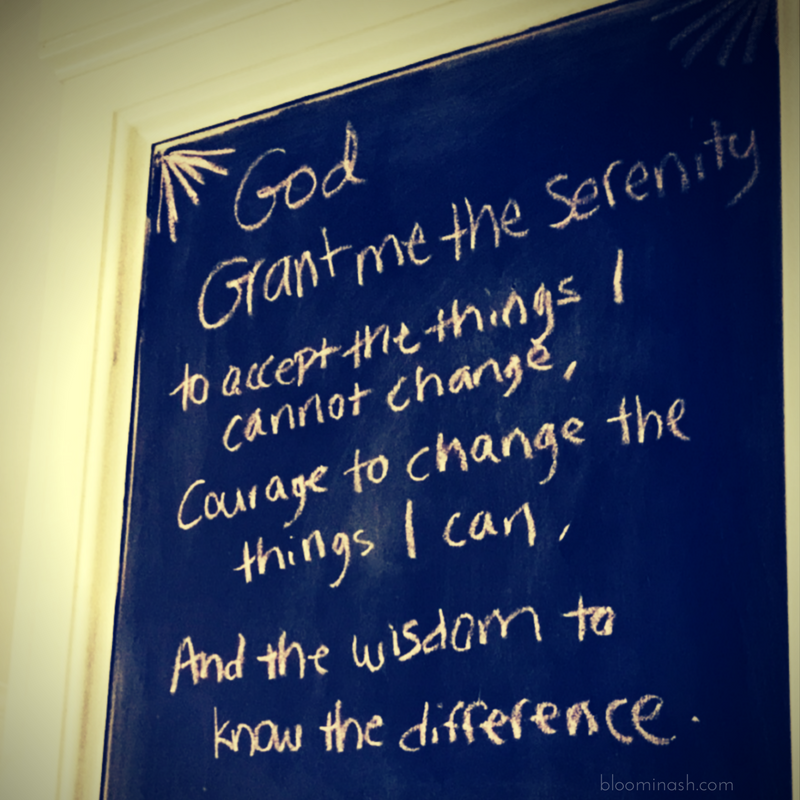 I’m melancholy tonight, but I’m also grateful. I’m glad I saw the kitchen differently. Even if this sounds a bit sad, I feel lighter for having written it. I see what I haven’t seen in a while – a room that holds so much love, it’s practically bursting. That’s a real blessing. ← Sometimes I Cry For No Reason. It’s Weird.